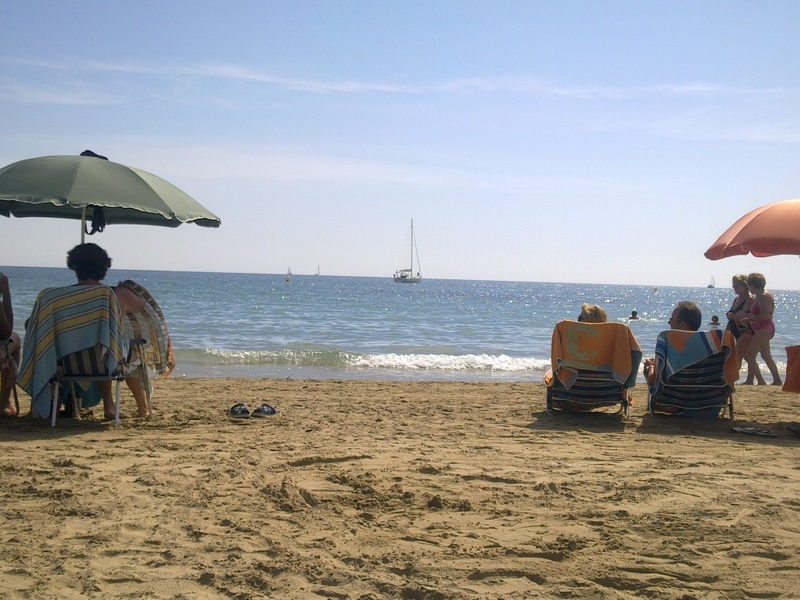 There are numbers of beaches in Torrevieja. See this Map to a beach close to (west of) Torrevieja. The many beaches stretch in directions south and north. For sure you will find a place to swim. Or you can relax in the sun, laying on a blanket, in the sand, and you receive life-giving, warm, wonderful shine from the sun hanging there, high up. If you raise your head you can see out to the Mediterranean ocean, green-blue, and far out there you find a line drawn horisontally from left to right. It is the horison showing you the border between sea and sky. Above this line you see colour changing from grey lowest, slowly transforming to blue, and your heart fills with joy. I love it – you’ll love it. 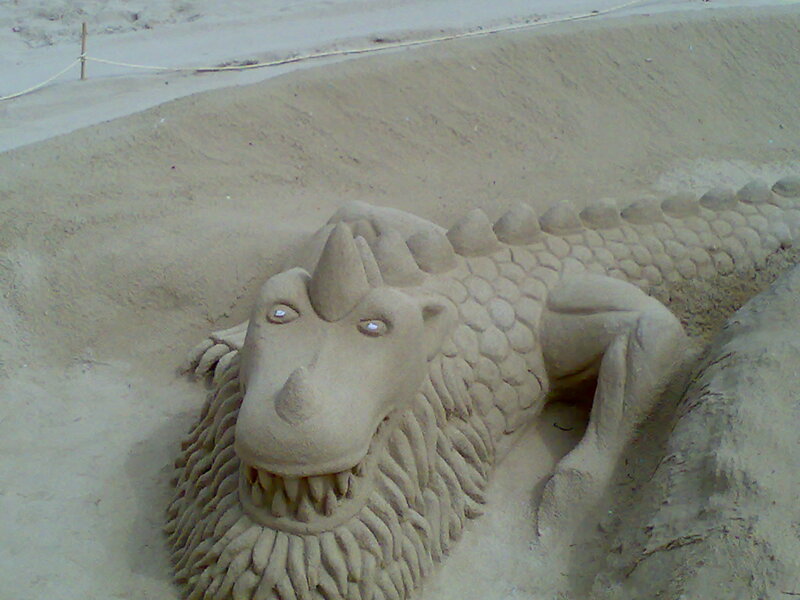 See what torrevieja.com writes about Playa de los naufragos. 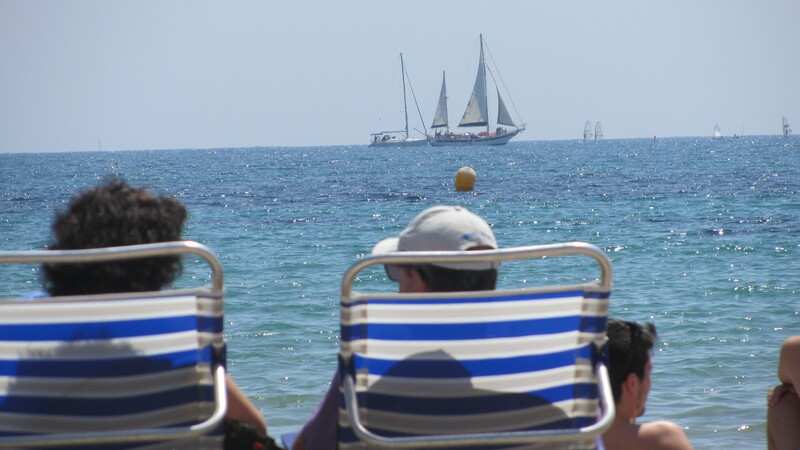 When you see the blue flag on a beach you have the guarantee that the Beach has passed an official high quality test. – La Mata (Sur). … … … Need proof? Look here.